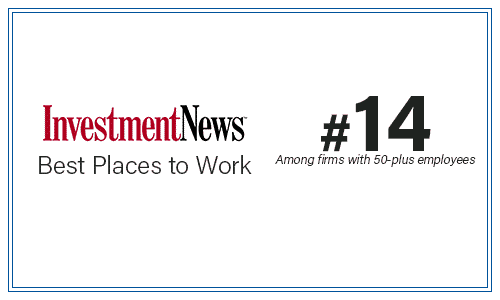 Adviser Investments announced today that, for the second year in a row, it has been recognized one of the “Best Places to Work for Financial Advisers” by InvestmentNews in 2019. Seventy-five organizations within the wealth management sector were named to this year’s list. Adviser Investments ranked 14th among organizations with more than 50 employees, and advanced from 45th in 2018 to 38th this year on the overall list.